​Want that sun-kissed look without the hassle or skin damage that can come from naturally soaking up the sun? Check out our guide to the best sunless tanner brands! Are You Sensitive to Smells? Getting a tan is a fantastic way to enhance your look, but it can be challenging to get enough sun to do the trick. Even more troublesome is that not wearing enough protection when outdoors can go past a tan and into sunburn territory, causing skin damage. Tanning booths carry many of the same risks by exposing you to constant UV rays. Thankfully, sunless tanner products give you some great options for quickly getting that sought-after sun-kissed look, without any of the hassle or health risks. But if you want the perfect tan, you need the right product. To help you on the quest to that excellent skin tone, we’ve compiled a guide to the best sunless tanner products on the market. Ease of Application. No matter how good a product is, a sunless tanner doesn’t do much good if it’s a hassle to apply. You don’t want to waste time on trial and error to figure out if a product is easy to use—and we don’t want you to either. Natural Look. Just because you don’t plan to get your tan from the sun doesn’t mean you want to look like it. Our top products don’t just prioritize the skin tone of your final tan, but also ensure that your tan looks even when applied correctly—with no patches or unevenly colored areas. Long Lasting. While part of how long your artificial tan last is dependent on how well you take care of your skin, the product’s composition will also play a significant role in how long it can last. In the same way that you don’t want to waste time on a sunless tanner that’s a hassle to apply, you also don’t want to spend precious hours redoing your tan throughout the week. We consider these the key features that every excellent sunless tan product should have—and you can count on our best picks to pass the test, every time. Not that you know how we pick out our top choices, let’s get started on revealing the best sunless tanner products you can find. 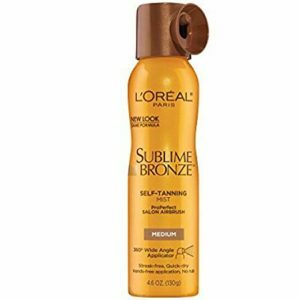 When it comes to a spray-on tan that does a fantastic job, look no further than L’Oréal’s Sublime Bronze Pro Perfect Salon Airbrush Self-Tanning Mist. This product is excellent for at home use, though it may take you some practice to get used to applying. Having help can make finishing your tanning a lot easier. This product has a 360-degree applicator that helps speed up the tanning process by giving a wide dispersal of the tanner at once. On the same idea of saving time, you can also count on this self-tanning mist to dry quickly, letting you get back to what you need to do. Several tanning experts give this product top marks, and it comes in both medium and deep natural shades. 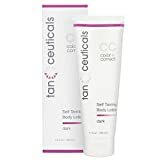 If you’re looking for a lotion-based tanning product, then Tanceuticals’s CC Self Tanning Body Lotion is one of your best potential choices. This tanner scores a lot of points for its natural look after application, deepening your skin to a smooth shade of bronze. Even better, the product is long lasting, making it close to seven days before starting to fade. When it comes to the process of applying it, the CC self-tanning body lotion is incredibly simple to use, and it dries quickly. It even feels fantastic as it goes on the skin, eliminating discomfort as in the process. Unlike the odor you may experience from other tanners, this product has a coconut scent that’s relaxing and easy on the nose. Another top contender on the tanning product field is the Fake Back Flawless Self-Tanning Spray. The spray bottle model makes for easy application, helping you achieve a seamless looking tan with hardly any streaking. It’s also fast-acting, helping you notice some color shortly after using it to get your skin looking tan in no time. Fair-skinned users might find this product appealing, as it doesn’t leave behind any orange tints in the process. Instead, the tan color has an almost reddish undertone that doesn’t make you appear burnt. This product also has a coconut scent going on, and the price is very affordable per bottle. All these positives lined up together make for a great sunless tanner. 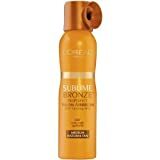 For those who want the benefits of an L’Oréal product without wanting to struggle with a spray tanner, then look no further than the Dermo-Expertise Sublime Bronze Self-Tanning Gelee. This gel formula dries fast and is easy to apply without needing to worry about any streaks in your tan. It’s also long-lasting, keeping your skin looking sun-kissed for several days to a full week. It comes in two shades: medium natural and deep-toned. You can apply it once a day until you reach the exact color you want. From there, you can reapply it once or twice daily to maintain your tan, depending on how well it holds up for you. This tanner’s formula also includes vitamin E and AHA, which can help your skin feel soft and smooth in addition to looking fabulous. 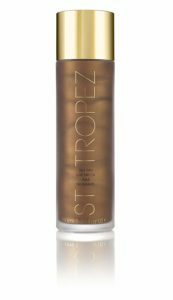 While most sunless tanners tend to be sprays, gels, or lotions, St. Tropex’s offering is instead a dry oil. Unlike a regular tanning oil, which helps you better absorb the sun, dry oils work a lot like other sunless tanners in that you apply it and allow the formula to tan your skin. While these products don’t always last for as long as others, St. Tropex’s Luxe Dry Oil can stay for four to five days. During application, this product dries quickly and even happens to smell great. You’ll probably need some practice with putting it on, but you will get a medium-dark tan tone that looks natural and beautiful. Despite all the good points, though, the Luxe Dry Oil is one of our priciest picks, so you might want to check out other products before investing. Towelettes are another less common type of tanning product, but they can do the job just as well as the rest of them. Our top pick in this category is the Tan Towel Self-Tan Towelette, which is useful for people with fair to medium skin tones. All you need to do is take a towel, rub it over the area you want brown, and wait for it to dry. Because it’s a towelette, you can easily apply it to your face, too. 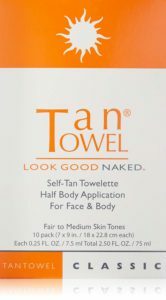 The resulting color from the Tan Towel Self-Tan Towelette looks natural, and the product can make your skin feel soft after application, too. You get an even tan without any blotching or streaking, so long as you use it correctly. The towelettes come in packs of ten, so you’ll want to plan your purchases accordingly when it’s time to tan your skin. 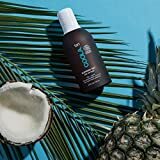 The Coola Sunless Tan Dry Oil Mist can be a lifesaver for people who can’t stand any scents from other tanners, as it’s perfume free—with natural smells of pineapple and coconut that bring the tropics to mind. It also has the status of being a 70% organic product, and it’s even vegan-friendly. The color takes about two to four hours to develop, and it can last for three days. Because this mist uses a pump spray, it can be tricky to apply, but overall this product absorbs quickly and doesn’t smear onto other items you touch. You can also use it several times to reach your desired skin tone, which will end up looking natural with no hints of orange. The extra vitamins and nutrients can help your skin feel fantastic in the process. 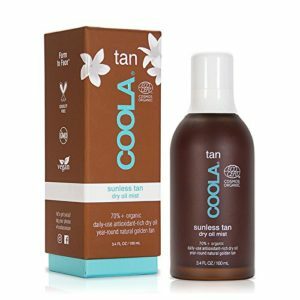 Coola Suncare Organic Sunless Tan Dry Oil Mist, 3.4 Fl. Oz. While there are many great sunless tanner solutions on the market, not all of them will work the same for everyone. Just like any other beauty product, you’ll want to make sure you’re getting the best product for you. As you compare our top picks, use these guide points to help you make the best decision. Everyone’s skin is different, and that means you need to pick a tanner that plays nice with yours. For dry skin, you’ll have much more luck working with a gel or lotion type tanner to help keep your skin from drying out further. On the other hand, mousses and sprays are much better for skin types that range between normal and oily. What’s great is that many tanners have a moisturizer, which can help. Aside from your skin type, you’ll also want a tanner that works for your specific skin tone. What works well for someone with paler skin may not have the same effect for someone with skin that naturally looks a bit tan already. It can take a little research, but it’ll be worth it to find a product that gives you that look you want. While we’re talking about skin, is yours sensitive to any types of ingredients? Most tanners are safe for everyday use, but you may have a sensitivity to certain items. You likely already have a routine to check for irritants, but don’t neglect to do it for your tanner! Many companies are also making tanning products with organic ingredients if that appeals to you. Aside from the application process, not all tanners are automatic. Some tanners work gradually, meaning you might go through days before you start to see any tangible results. Even instant tanners, which can give you the color you need quickly, but they still take a few hours to form fully. Give yourself the right amount of time before you need to show off your tan. You should also consider how long it will take before you can let something touch your skin. Spray tanners take some of the most extended times, potentially needing between thirty minutes to an hour before you can get dressed or head to bed—at least if you don’t want to make a mess. In contrast, mousse tanners usually dry the most quickly, with gel and lotion products not trailing too far behind. Sunless tanning products work by using DHA, which is a derivative of sugar. When it interacts with the dead cells on the skin’s surface, DHA helps to color those cells permanently to produce the tanning effect. However, this ingredient is what contributes to sunless tanning products having their distinct odor. The exact odor of a product will depend on both how much DHA is present, as well as what the other ingredients are in the formula. No matter what product you use, you’ll find that it does have a scent, but how that impacts you will depend on your sensitivity. And if you read over reviews, you’ll likely see people who find the odor unbearable and others that don’t mind at all. Thankfully, regardless of its smell, DHA is an entirely safe ingredient, so you don’t have to worry about the side effects on your skin. You might want to try smelling some samples beforehand if you foresee it being a problem for you. With so many fantastic sunless tanners on the market, it’s easier than ever to find one that works for your unique skin tone. No matter what you want your skin to look like, you can’t go wrong with picking one of our best sunless tanner products!